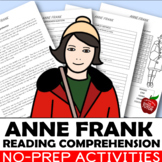 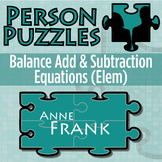 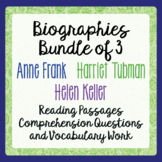 Anne Frank Activity | Anne Frank Worksheet | Anne Frank 3rd 4th 5th GradeYour students will enjoy reviewing vocabulary with this Anne Frank word search activity! 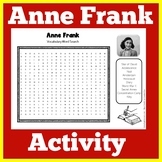 Great for building visual discrimination skills, learning vocabulary and students love them! 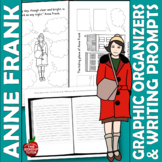 ❤ CLICK HERE TO FOLLOW GREEN APPLE LESSONS! 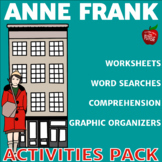 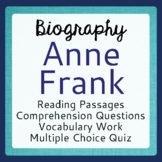 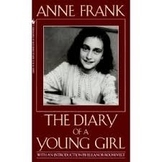 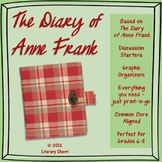 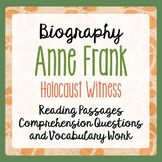 Anne Frank - "In Her Own Words"
*As Anne Frank describes her experience in packing her bag and what she packed, I created this project so that my students can simulate packing a bag quickly if s/he had to go into hiding. 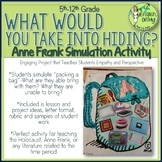 *The students have to describe what they would pack, no electronic devices included, and what they would pack.